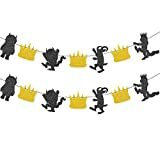 Where the Wild Things Are Products | Top Books, Merch, Info.. This story is one of anger, fear and ultimately comfort. In reality, this story originated from the author being disgusted with his relatives as a little boy. The reasons are as follows: his aunts and uncles liked to bestow upon him and his family weekly visits, the big stained yellow teeth, them acting crazy, and they always seemed to have red eyes, and for some reason they pinched his cheek with every weekly visit. He viewed them as grotesque, and as an escape he would draw caricatures depicting negative features on the drawings. Tzippy, Moishe, Aaron, Emile, and Bernard were the names of his actual relatives that would eventually end up as characters in his famous book. Rightly so because this book is one of adventure, full of spirit and allows children to explore their curiosity’s about life, and what can lay in their imaginations. This book is where all of these Where the Wild Things Are Products got started. And who doesn’t like dancing in the moonlight? I for one do. The moon and stars have always had a piece of my heart, and always will. This one shows Max and one of the “Monsters ” sharing the moonlight on a dark night under the stars. Max is declared King in this awesome scene from Maurice Sendak’s American classic children’s book. This tale and image is one of many children’s favorites. You almost feel an explainable and very brief vacation when gazing into this picture. A real life drawing from the author himself. Just like the ones he drew as young boy. Amazing, original Sendak drawing by the Author himself. Only one of these exists. Where the Wild Things Are Products are a result of THIS amazing story. This is truly one of those few rare books you can find that really can be enjoyed equally by a child and a grown-up. Sendak’s color illustrations (perhaps his finest) are beautiful, and each turn of the page brings new magical illustrations that can be explored in depth. You will take something different from the book each time you read it. The wild things with their unbalanced parts and giant eyes–manage somehow to be scary-looking without ever really being scary; at times they’re downright hilarious. Sendak’s defiantly run-on sentences that he uses in this book: one of his trademarks. They lend the perfect touch of stream of consciousness to the storybook, which seems to float in between the land of dreams and a the forefront of a child’s imagination. And it really does stem from Sendak’s own childhood. The book explores other worlds full of strange creatures where, although he not is entirely safe and comfortable, he is King there. Then when he returns home to safety, he is rewarded with comfort and a warm meal. The story is about a young boy named Max. He is then sent to bed without his supper. Perhaps as part of a dream or an imagination, Max’s bedroom transforms magically and mysteriously into a jungle environment. After managing to intimidate the creatures, Max somehow becomes the king of the Wild Things, and enjoys romping around with the wild things for a little while..
Anyways, he eventually decides to return home, and the Wild Things are then sad to see him go. After finally getting home to his bedroom, Max finds a hot supper waiting for him there back in the real world. Here is the playstation 3 game you can buy by clicking on the link above. Unique theme for gamers of all ages. It tops the list of the Where the Wild Things Are Products. A figurine to keep as a part of a collection or simply to give to one of your children to play with for fun. Would look cool on a shelf, too. Buy as a gift for someone who is an enthusiast, or for yourself. Look at the creatures. Such beautiful illustrations. This fleece blanket not only belongs on your bed, but as a decorative item in your child’s room. Your child will get a kick. Sailing is an Art form, and it is fun to do. You can explain how much fun sailing can be, and what it is like, to your youngster, and have a conversation about it. Some people want to sail around the world. The book uses the outside world, or “Jungle” to represent the outside world. The creatures there are odd and unusual. He has a bunch of fun, and eventually he becomes king. However, after all, the creatures are monsters, and he is not actually secure. When he returns home he finds safety. If you like the beach, you probably like the ocean. And if you know the sea, then you may be a sailor. And you know what it’s like at night at sea during a storm. Then what it’s like in the early wee hours of dawn, when there is just a light rain after the storm has passed. however, the sky is always changing. And at night you can see the whole milky way, it’s definitely on the bucket list to spend a few nights at sea, at least. Max did, you can do it too. And you can encourage sailing and it’s awesomeness to your child simply by putting something like this in his or her room. Wear this T-shirt with pride as an enthusiast of Max and his great adventures. Just a good tasteful choice for a wild things are t-shirt. It is a wonderful depiction of one of the “Monsters” sitting alone on the island. This is the cover of the book that everybody knows. Just a cool shirt to wear. A good gift, too. One that your child can grow into. The text font on this shirt is pretty rockin. And it kinda looks weathered when new, so that is cool. Kinda neutral look, would look good with jeans or something. A scoop neck t-shirt perfect for you or the lady in your life. Moms who love this book may like it, and children that love this book may get a kick out of mommy wearing this shirt. It may give you something to talk about. And as the children age, you can uncover the layers of meaning in the book. How Sendak paints a psychologically sound real world picture with the story. And the illustrations are the best part too, you can never get tired of looking at them. Carry this bag with pride as a fan! Perfect for a quick trip to the store or a night out on the town. Little girls may like this bag. Maybe if you have a girl who loves this book. Splurge on your yourself or for a enthusiast in the family! A great holiday or birthday gift. Get it while it lasts, because they don’t make these things anymore. A perfect coffee mug for the coffee drinker in your life. Buy one for yourself and a friend! Look at the picture. Wouldn’t you get a kick out of looking at some monsters hanging from a tree in the mornings or just whenever you want coffee? A coffee mug depicting Max dancing with the “Monsters”. A cheerful way to start your morning coffee. If you click on the image you can see it bigger. It is the scene from the book where Max is following the monsters. Ceramic mug with pictures of the “Monsters” to lift your spirits in the morning with your coffee. Max is on the other side. For more pictures of the mug, just follow the link. Hang this poster in yours or your child’s room to create a one of a kind style. They get to see the wild rumpus everyday? Cool!!! Attire your son or daughter in the cutest costume ever! One of the cutest Where the Wild Things Are Products ever! Your baby will be the cutest little monster you have ever seen in this costume! Perfect for Halloween, and for around the house. These outfits are comfortable too, and make great around the house onesies for colder months. Get a few, then your child can be max all of the time. Be a king and queen in these crowns. Walk around knowing you are truly royal. Your kids will love these. Also good for Halloween, or if your child gets to be king for a day. That would be a good gift. Present them with a crown, then say: You’re King today. Let’s have fun, what do YOU (kids) want to do? And let them wear the crowns that day, and maybe let them plan the fun activities for the day. Sleep sound with this pillow of Max in the moonlight. Have sweet dreams of dancing along side him. This one is quite popular. No wonder, because look at it, the illustration is awesome. Looking into an unknown, imaginary world. With Where the Wild Things Are Products like these pillows, you can enjoy the beautiful art in your day to day activities. This pillow is cool for the youngsters’ rooms. Look at all of the movement and motion in this design. The design looks like it is coming off of the pillow. Plus the blues would go good like in a blue boy’s room. Probably the highest quality Max and Monster Dolls you are going to find anywhere. Will last for years and years. This is one of the monsters. Wow, neat cool dude. Looks like one of the Monsters in skinny jeans. This blue monster is awesome. Look it’s got a beard and a horse head or something. This one is highly sought after. Few items remaining so get them fast. I mean kids love playing with these toys. They will get a kick out of this for sure. This brings a new light to uno cards. You can play uno in Max’s world. Well, thanks for visiting the Where the Wild Things Are Products Page on Conversation-art.com.